Resources ⋆ Kelly Ann Garnett, M.A. NOTHING will keep your Soulmate from you. You have EVERY hope for love. 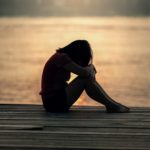 If you’re experiencing some challenges with stress, depression, or fear, click below to learn a great technique to work through those challenges. The purpose of Relationships from a spiritual perspective. Here’s an article about the physical effects when we feel love. My coaching is designed to help you stay grounded and focused in spite of these effects. Here’s an amazing and powerful ceremony to call in your soulmate. Inspired by Dr. Lissa Rankin, she recounts the ceremony she used to call in her now husband, Olivier.